I wanted to make sure your readers are aware of the history behind the local diner in my neighborhood. It's pretty much my second home away from home. I'm referring to Corky's on Van Nuys Blvd just South of Magnolia. It's just what a diner should be, the staff is friendly, the prices are reasonable and the food is good. I like going there for breakfast on the weekend, but it's not unusual to find me hanging out at the counter having dinner with some of the regulars. It's a great neighborhood place. 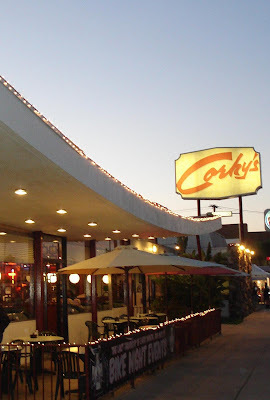 What your readers may not know is the architect behind Corky's. 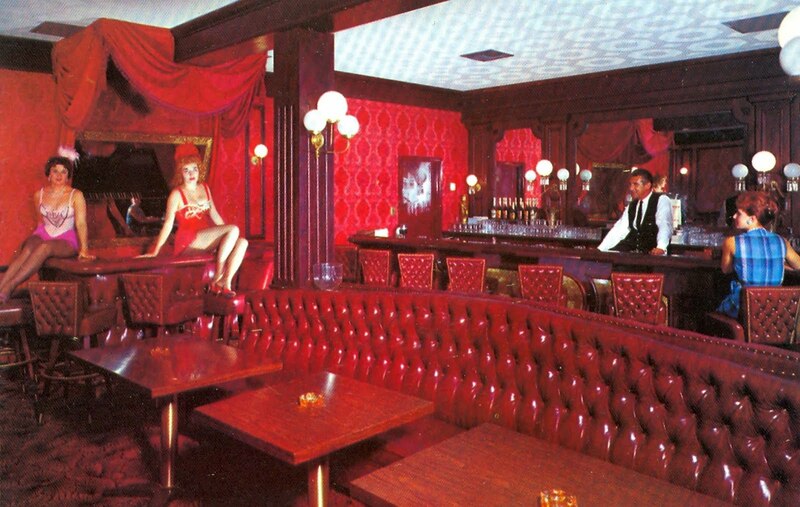 The restaurant was designed by Armet and Davis a California based architectural firm known for designing many of the California coffee shops inspired by the Space Age and the regions car-culture. The restaurant opened in 1958, under the name of Stanley Burke's. 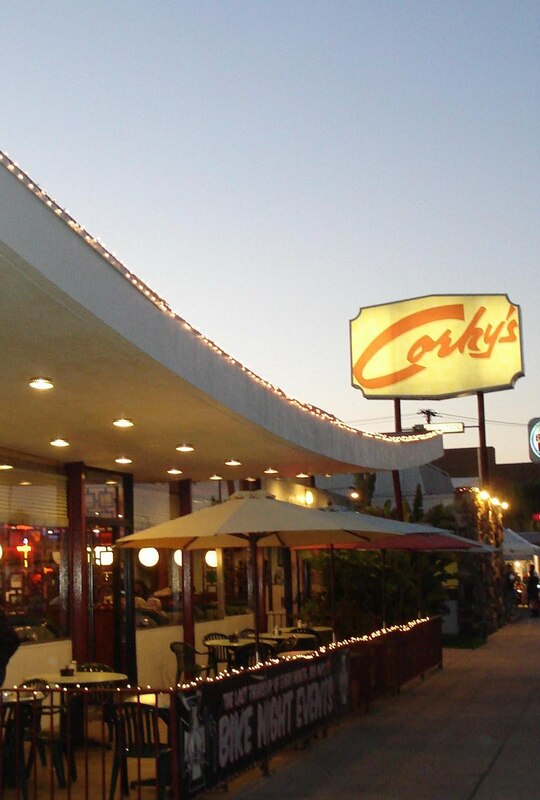 In the 60's and early 70's it was Corky's, then Lamplighter and now back to Corky's. Even though the name has changed a few times, the "Googie" design has remained the same. In the photos I've included, you will see one of Armet and Davis trademarks. The soaring and exaggerated roof line resembles a flying wing ready to liftoff. Inside the restaurant, you have a room length dinning counter, large bay windows to watch passerby's on Van Nuys Blvd and cool over sized black and white photo's of Valley landmarks from the 1950's and 1960's. Eldon Davis considered the father of "Googie" diner designs recently passed away in April at the age of 94, but many of his designs still exist in the San Fernando Valley. I've listed two that have survived with little to no change from it's original design. Kerry's Coffee Shop (now a Mel's Drive-In) 1947 in Sherman Oaks on Ventura Blvd just East of Kester. Twain's Restaurant 1960, in Studio City on the corner of Ventura Blvd and Coldwater Canyon. I may actually remember it as Stanley Burke's unless there was another Stanley Burke location. 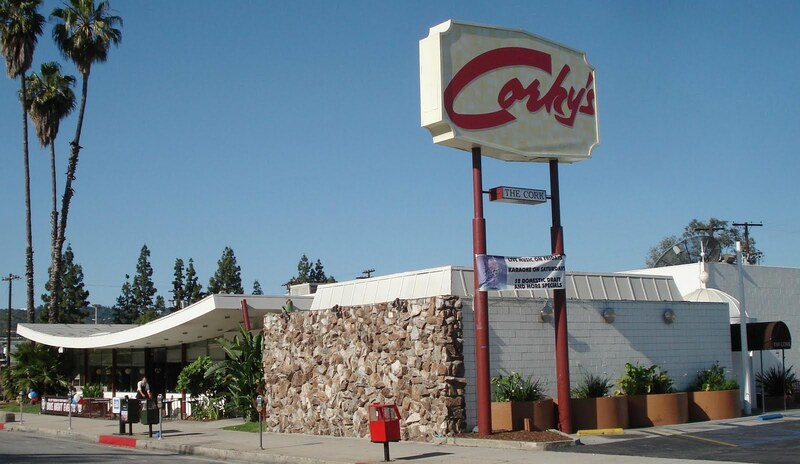 I definitely remember Corky's and Kerry's because we cruised Van Nuys Blvd enough times in the 60s. Is this the Art Jacobs who was a DJ? I like your blog and Images which you add its really good.